Bioelements Radiance Rescue / 1.7 oz. 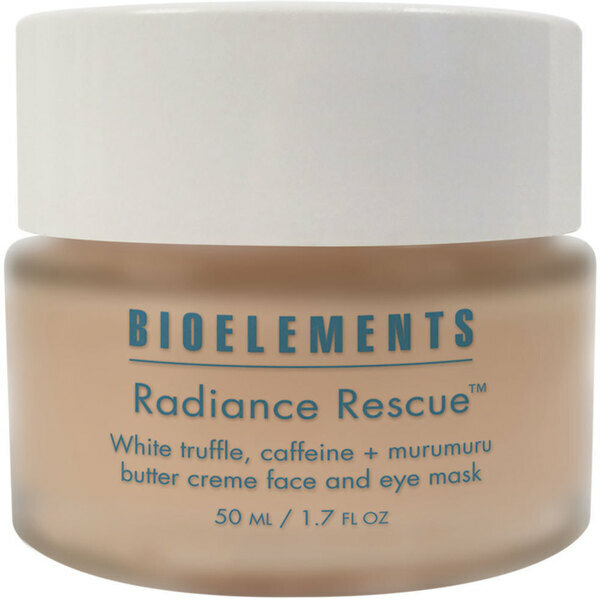 Bioelements Radiance Rescue is a white truffle, caffeine + murumuru butter creme face and eye mask. Wakes up worn down skin, delivers immediate glow, improves lines + under eye puff, and increases needed moisture.